Gauthe was employed by BISCO in June 2000 after serving on the BISCO Board of Directors for five years. Her previous employment was as the Region 3 Office of Public Health’s Healthy Communities Coordinator from July 1994—June 2000. 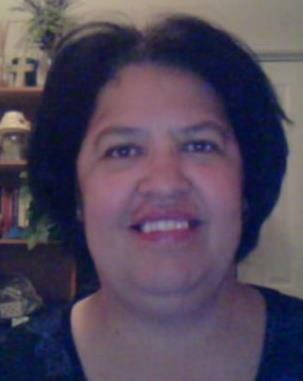 She was employed by the Louisiana Office of Mental Health as a Social services Counselor from 1990 to 1994. Other employment included the State Department of Public Welfare, Lafourche Parish Council (as a Parish Juvenile Probation Officer) and the Lafourche Parish School Board (where she served as a Social Services Counselor at South Lafourche High School). Mrs. Gauthe graduated from Nicholls State University in January of 1971 with a Bachelor of Science Degree in the Family and Consumer Sciences - Social Services Program. She has won many awards, including “Another Success Story” (one of the top 50 graduates) of Nicholls State University during their 50 year Anniversary Celebration, Outstanding Young Woman of Thibodaux, and Outstanding Young Woman of Louisiana. Sharon and her husband David recently won the "Lifetime Achievement Award " presented by America's Wetlands. (photo above). Sharon serves on many regional, state and local boards including Common Cause, LA Women And Government, Equity and Inclusion, Regional Advisory Council for Mental Health, Lafourche Parish Community Action Board, Lafourceh Commission on Women, and Terrebonne and Lafourche Children and Youth Boards. Sharon’s areas of expertise include: Director of Church and Ministerial Relations, Board Relations, Development, Training, Publicity, Youth Development, and Disaster Relief and Recovery. Sharon is the proud mother of three successful adult children, Nikki, Miki and Jonathan, and grandmother of two sets of twins Alex and Megan Buis and Lauren and Grace Rieth and a recent additonal grandson David G. Rieth. Whitney recently returned to a full time position with BISCO. Prior to this, she served as an active BISCO leader for four years, then as an administrative assistant/organizer in a part time position of ten hours/week (09/06) for one year. Ms. Whitney has a Bachelor of Science in Business Education from Nicholls State University, with a minor in English, and is retired as an official court reporter. She also served as an information and referral specialist for a local non-profit disabilities group from 2004—2005. Ms. Whitney was a 2005 Winner of the BISCO Angel of the Year Award and has also received the honor of being named as one of Louisiana Spirit’s “Unsung Heroes” in the bayou region for her volunteer efforts after Hurricanes Katrina and Rita in 2005.Other honors include: Named as Louisiana Coastal Communities Ambassador by the U.S. Environmental Protection Agency, one of “10 Unsung Heroes of the 2010 Gulf Oil Disaster” by the National Wildlife Federation, President, Terrebonne Genealogical Society, and President, Lafourche Heritage Society. Her areas of expertise include Grants Writing, Environmental Advocacy, Housing and Disabilities Issues and Policy. Donald Bogen, Jr. joined the staff of BISCO in Oct. of 2009 as a part time organizer and was recently promoted to full time. As a Community Organizer for BISCO, Donald Bogen, Jr., coordinates activities around local, state and national issues and policies that affect communities in Lafourche and Terrebonne parishes. He serves as a liaison between BISCO pastors and the organization. Bogen was the key organizer for the community’s Gulf oil spill prayer service in which 20 interfaith pastors participated with 400 people in attendance. Additionally, Bogen is a licensed minister of the Christian Church of God in Christ and the Executive Director of Masterbuilders Community Center. Bogen has received numerous accolades throughout his career, including the Certificate of Congressional Recognition from Rep. Charlie Melancon and a Certificate of Achievement from the Federal Emergency Management Agency. As a Lafourche and Terrebonne organizer his areas of expertise includes Housing, Youth Development, Church and Ministerial Relations, and Disaster Relief and Recovery. Sharon is an AmeriCorps/Vista worker assigned to BISCO for work on oil spill related activities. Sharon belongs to the United Houma Nation tribe. She is married, has two adult children, and has one grandchild. She previously worked for the Lighthouse for the Blind. Gauthe served as a BISCO volunteer beginning in 1995. He was named the 2003 Angel of the Year and was hired as a part- time organizer in April of 2008. He was promoted to a full time position on June 1, 2008. Mr. Gauthe has a Bachelor of Science degree from Nicholls State University and is a licensed life insurance agent and NASD Agent. He serves on the Louisiana Republican State Central Committee as a representative of Lafourche Parish. David serves as an Organizer of Lafourche, Terrebonne and Jefferson Parishes and serves as the Assistant Director of Local, State and Federal Policy and Economic Development His areas of expertise: Lafourche and Terrebonne Parish Public Relations, Policy Planning, Logistical Planning, Environmental Advocacy, Economic Development and Disaster Relief and Recovery. Mewherter joined us during March 2009 as a full time Organizer. Mrs. Mewherter lives in Terrebonne Parish and holds an Associate of Legal Assistant Studies degree from Nicholls State University. She is also working towards a Bachelor’s degree in Legal Assistant Studies from the University of South Georgia (online). Her previous employment includes: Program Coordinator/LACAN Leader for Bayou Land Families Helping Families, Administrative Assistant for United Houma Nation, and Contract Paralegal for Vinet & Vinet Attorneys at Law. Maryal is a member of the United Houma Nation and serves on their Leadership Council. She also recently completed a year’s training in Leadership Terrebonne. Maryal is an Organizer for Lafourche , Terrebonne and Jefferson Parish. Her areas of expertise: Youth Development, Education, Housing and Health Care, Native American Issues, Fundraising, and Disaster Relief and Recovery.